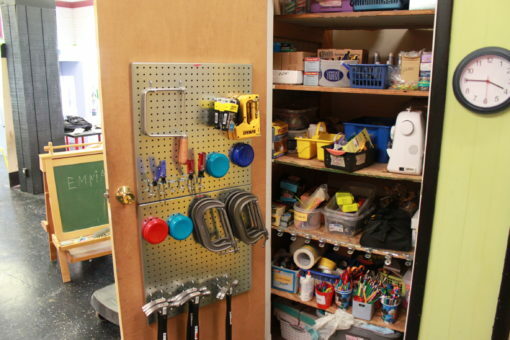 Our newest program for MAKESHOP is called Mobile MAKESHOP. We want to know what its like to have a workshop in a different environment. The Museum has partnered with five different sites to implement the ideas of MAKESHOP along with helping to provide tools, materials, furniture and facilitation support. The sites include another museum, a university, a library and two different schools. Each site is very different from the rest, but each site is similar in the fact that they are trying to embrace a more hands-on attitude towards education. 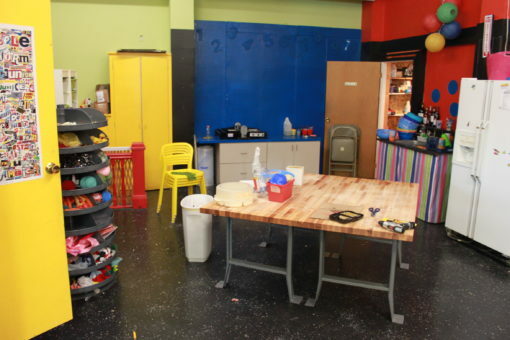 This first MAKEover edition of the blog focuses on the transformation of the Children’s Museum of the Ohio Valley’s birthday party space into a workshop. The Children’s Museum of the Ohio Valley is located in Wheeling West Virginia. The museum is geared towards a younger audience. There are hopes that this new workshop will give older kids a sense that there is something for them to do as well. I visited the Children’s Museum of the Ohio Valley during a week of maintenance. A group of volunteers and retired maintenance workers helped me “flip” the space. We converted their birthday party area into a workshop. 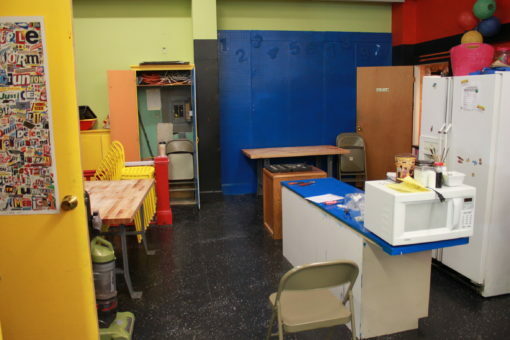 MAKESHOP helped provide furniture and tools for the space. I will also be helping as a facilitator once a week to teach the staff how to use the tools, where to find materials, etc. It was such a blast to help change the space. I can’t wait to see what the visitors think of the changes. I also helped rearrange a lot of the Museum exhibits just to give the entire space a fresh look. The Children’s Museum of the Ohio Valley is a really cool space. They already had a lot of interesting and useful materials on hand. 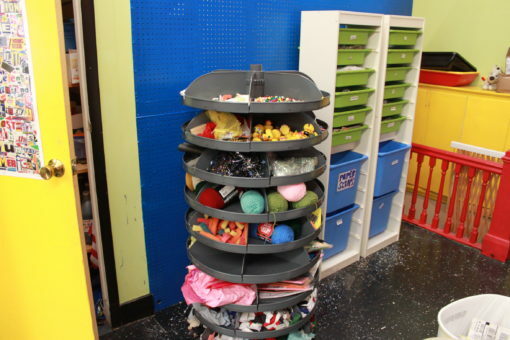 This new workshop area finally gives them a space to use all of these great materials. Thanks again to the Children’s Museum of the Ohio Valley for partnering with our Museum during this upcoming school year.